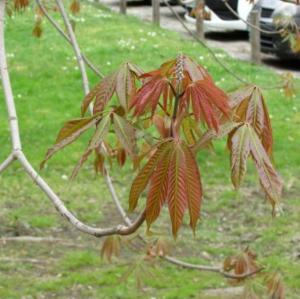 Acer griseum is one of the most beautiful of all unusual small trees, suitable for gardens of all sizes. The dark green, trifoliate leaves densely covered beneath with blue-white downy hairs, colour splendidly in autumn turning the whole crown deep crimson or red. The old dark red or chestnut bark flakes and peels back to reveal the new, smooth, orange-red bark beneath. Hardy throughout the British Isles. 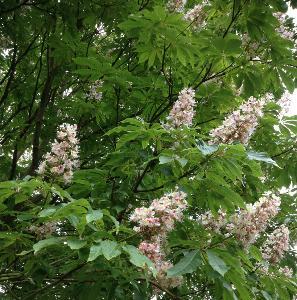 Aesculus wilsonii is a very rare species of Horse Chestnut native to China, and has handsome large leaves which emerge bronze-red in colour and gradually darkens through shades to green later in summer. 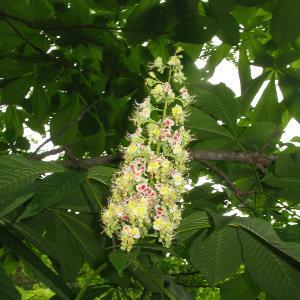 Established trees have attractive white flowers with yellow turning red centers in tall upright spikes in early summer. 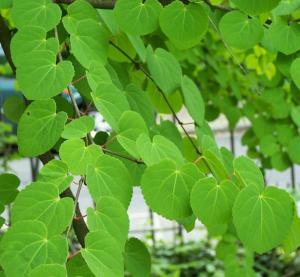 Cornus macrophylla, Large-leaf dogwood forms a small, often low-branched or multistemmed tree, usually no more than 8 or 10m in height when grown in the open in gardens. 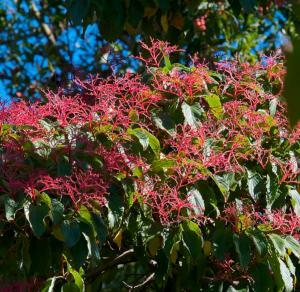 The species is known to top 20m in the wild, but such plants would have been heavily shaded and very old. In cultivation, branching is much like that of Cornus controversa (table dogwood), with strongly upright stems and horizontal tiers of branches. Each branch terminates with a handful of curving, shortly ascending twigs with prominent pointed buds. 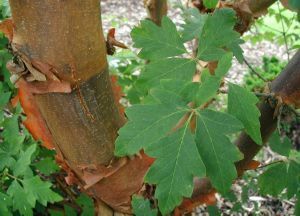 The grey-brown bark is smooth and attractively mottled in youth, eventually becoming plate-like with age.